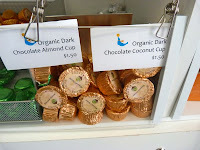 I knew I was in the right place to locate more almond-themed chocolates, when I paid a visit to SweetE Organic (Mill Valley, CA). Elana Turchon has lined her shelves with chocolates and candies that offer alternative choices for those looking for organic, gluten free, nut free, dairy free, or other alternatives. 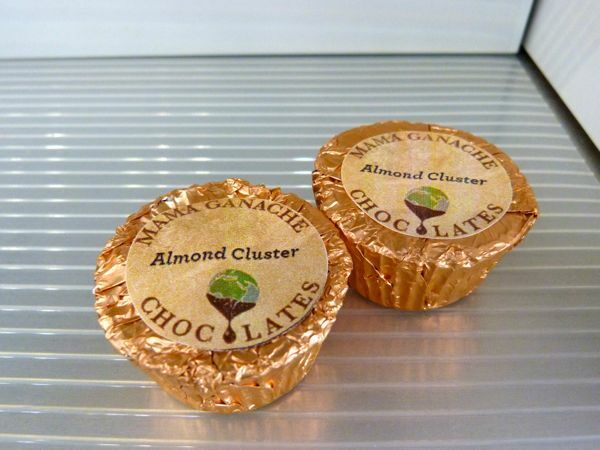 I quickly spotted (with Joy's help) today's Almond Cluster from Mama Ganache (San Luis Obispo, CA), that was individually wrapped in copper-colored foil. 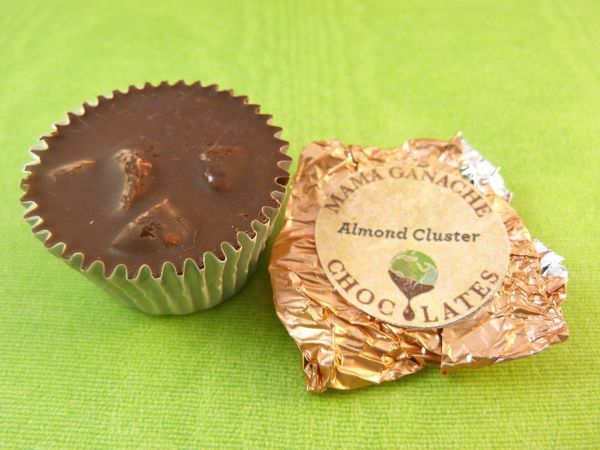 Mama Ganache specializes in organic, fair trade confections. 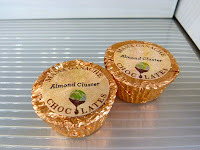 I bought two Almond Clusters, and ate one on the drive back home (for research purposes). 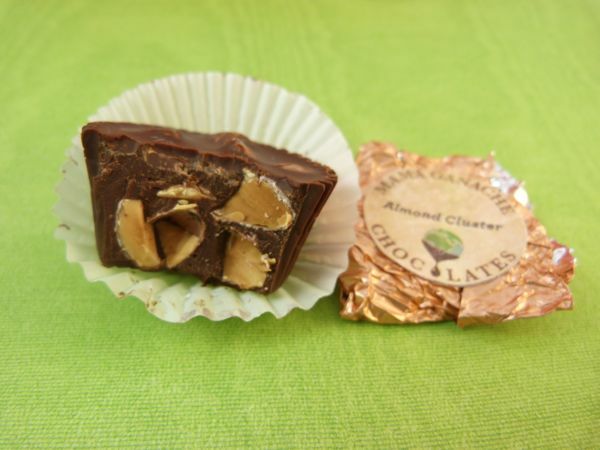 The dark chocolate was rich in flavor, and embedded in the cup-shaped chocolate was a generous helping of chopped toasted almonds that seemed to have a sweet crunch to them.